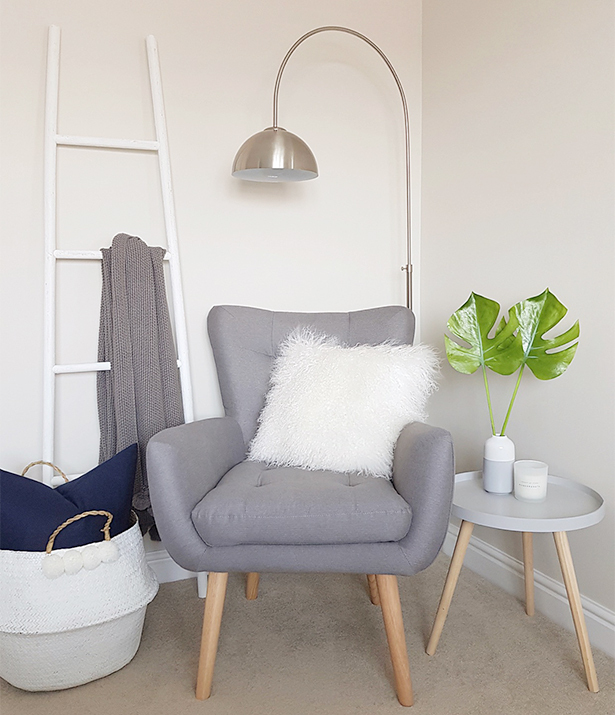 We love to see our furniture and decor in your home. 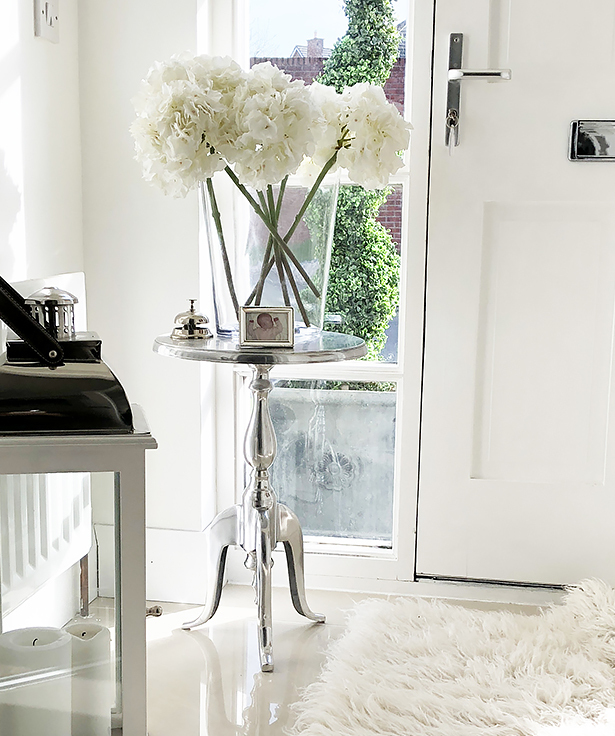 Please send us photographs of your home to be included. 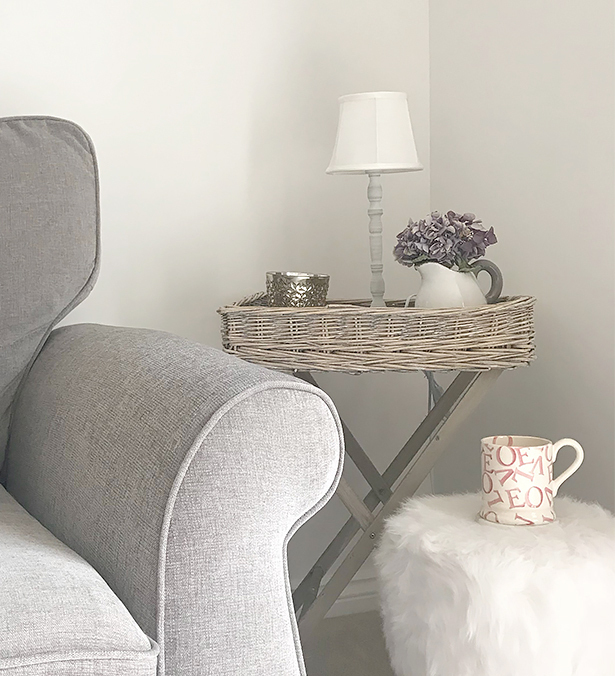 Click on the imgase below to find out more of what our customers say with further photos of the furniture in place. 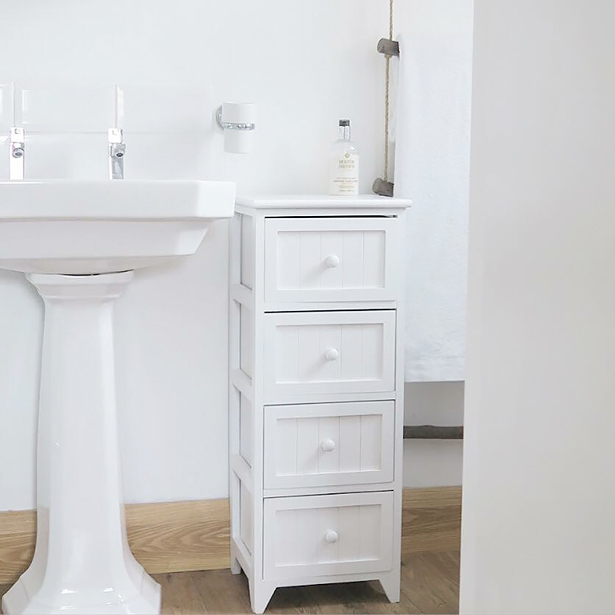 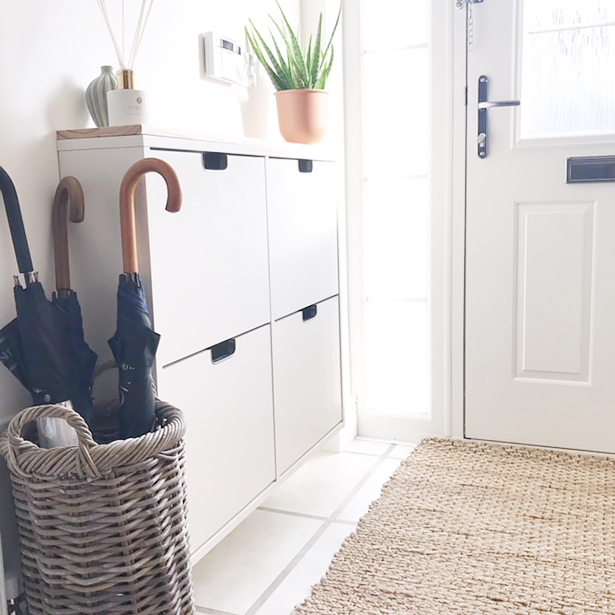 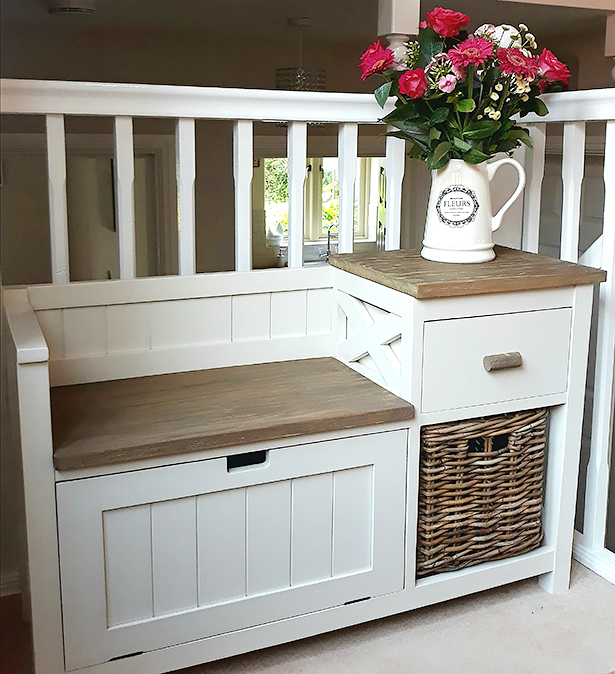 We would love you to email your photos to info@thewhitelighthousefurniture.co.uk with a brief description, just to let us know where and how you use your furniture. 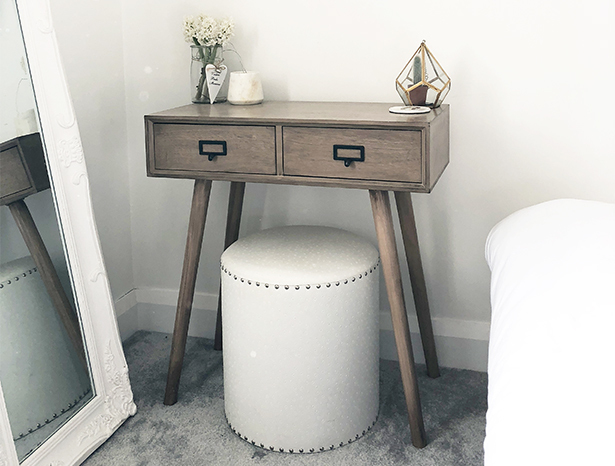 The Dorset narrow bedside table, a pair fits nicely in this small space between the bed and the walls. 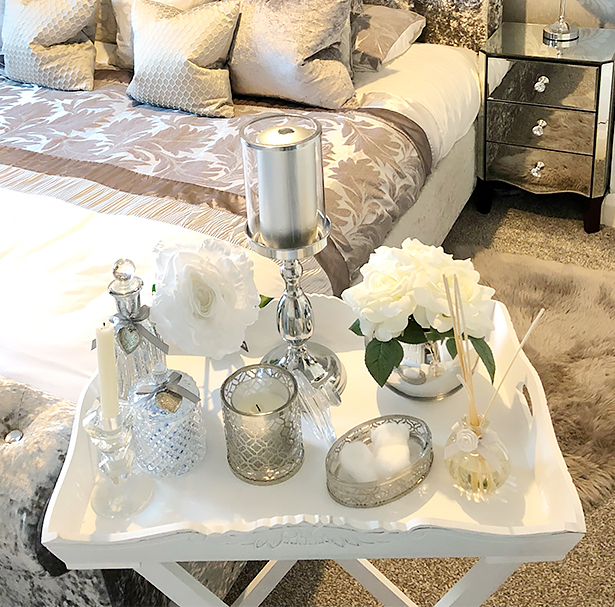 The pair of slim narrow Dorset bedside table on eith side makes the room feel like a real bedroom while framing the bed. 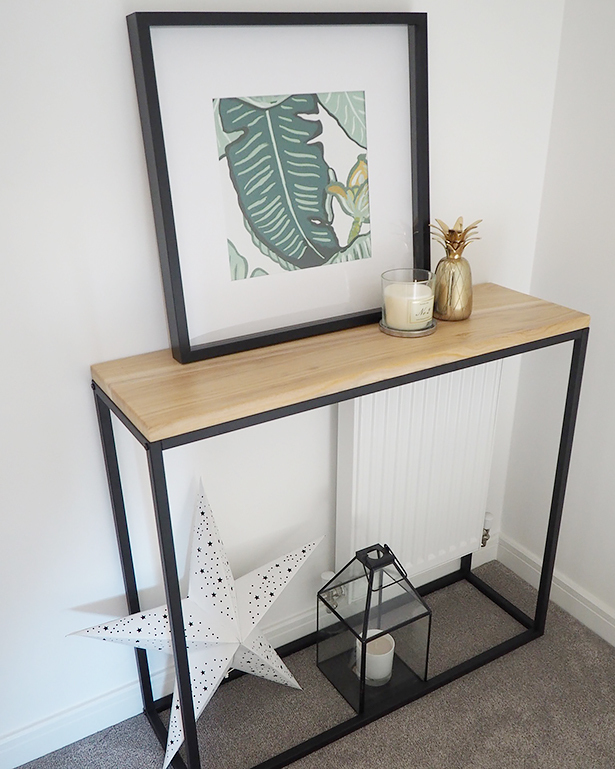 The Narrow Brooklyn Conole table fills the space beautifully in Lynsey's hallway and looks great. 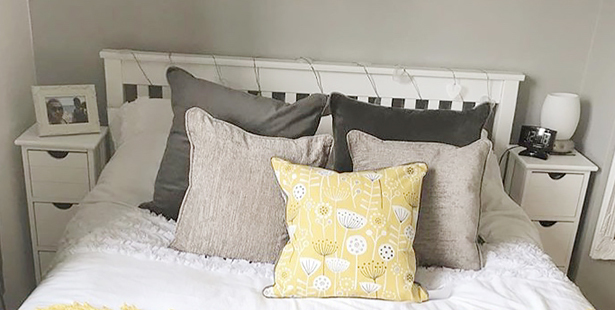 Thank you Anothingtohome for sending us your photo. 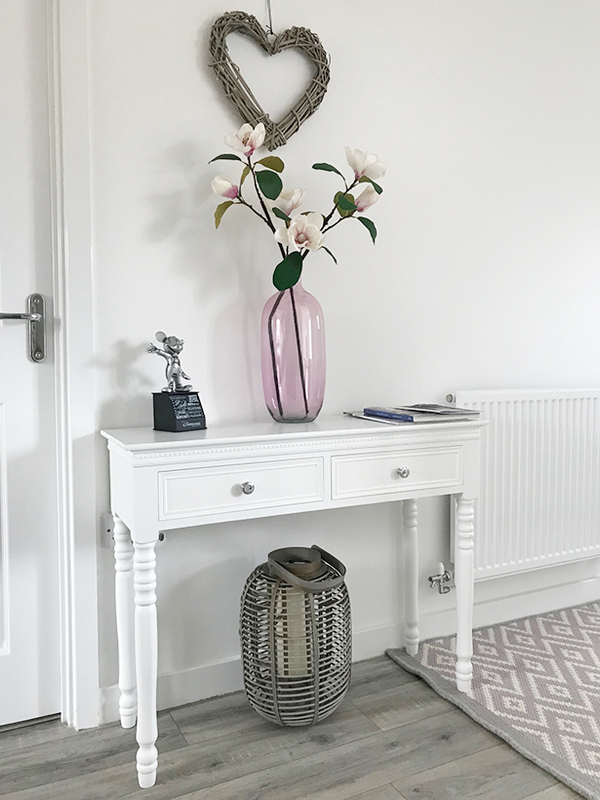 The New England white console table with silver handles looks stunning in Julie's hall in Kings Lynn, Norfolk. 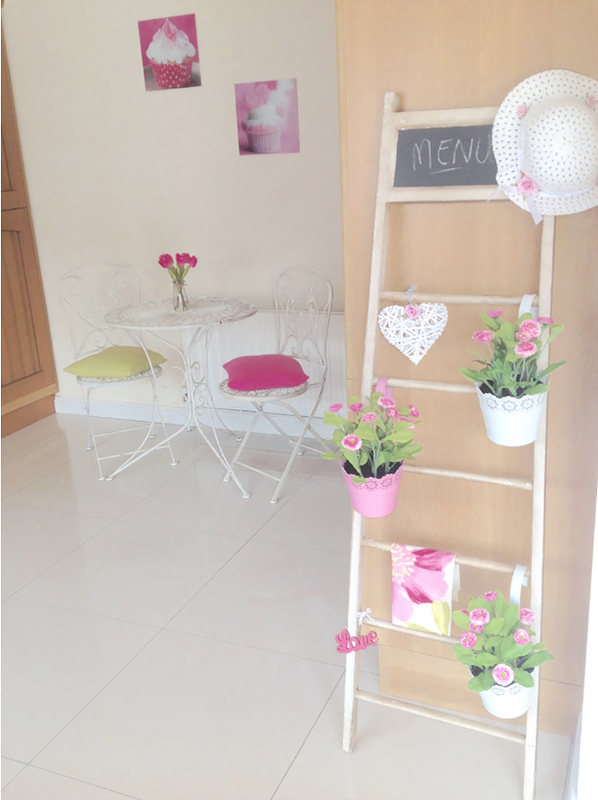 We love the way Debra has used her Dorchester ladder in her kitchen as a towel rail and plant holder, very unique! 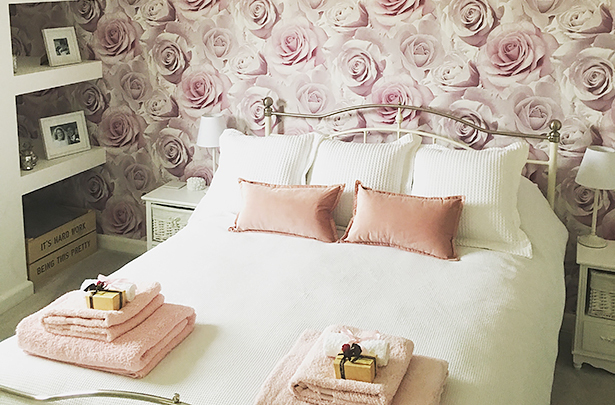 We love the white rose bedside tables in the gorgeous guest bedroom of instagram account "@Pintoandpolaroids . 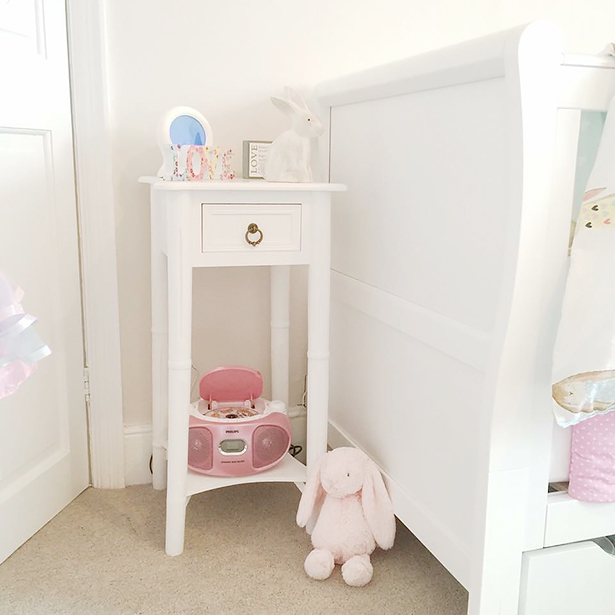 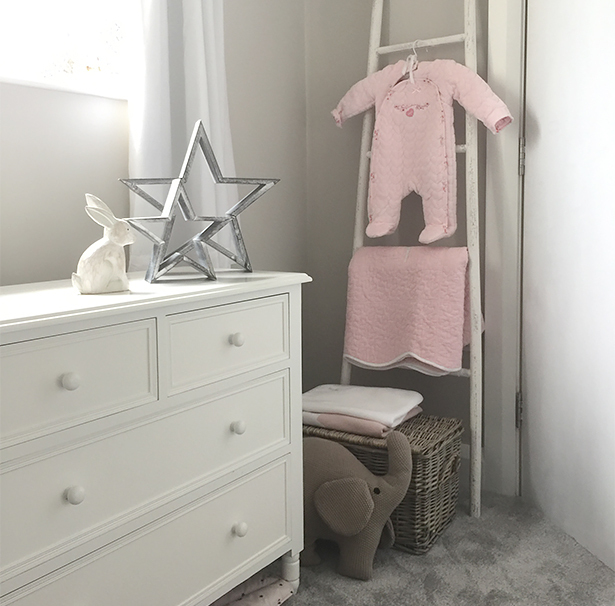 The New England white bedside table, currently in a nursery but will be continued to be used in her bedroom as she grows.